At Simmons & Simmons, our international, multi-disciplinary mining team of experienced, specialist lawyers advise on the whole range of mining investments globally. Our lawyers always aim to deliver smarter solutions to our clients’ most complex challenges. This means helping them overcome the critical business obstacles they face. It means providing the answers they need to drive business success. Ultimately, it means replacing complexity and confusion with clarity and direction. We strive to combine individual experience, deep sector knowledge, a team-based collaborative approach, and the innovative application of technology, to deliver the smarter legal services they need in today’s fast-changing markets. Our clients include banks, specialist private equity funds, commodity trading companies, specialist mining finance providers and global mining companies. We regularly advise on large, complex transactions, offering innovative solutions, sector and industry knowledge and a focused, commercial approach to getting the deal done. 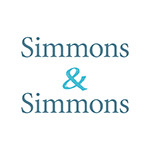 Simmons & Simmons is a world-class international law firm in tune with the business world. Time and time again businesses across the world bring us their toughest commercial challenges. They call on Simmons & Simmons for our international reach and our expert legal advice. Our clients rely on our ability to align to their requirements: we invest time and effort into their businesses and the worlds in which they operate.